Who is Pixel Mosaic for? which colours would you choose? "If you were to describe yourself as a sequence of colours, which colours would you choose? why?" This is the question Hundreds of young Australian artists set out to explore with Pixel Mosaic. Suitable for a wide range of ages ranging from 8 to 15 and stretching from 5 to 18 years old, the discovery process is aided through videos such as the one above. Using only the Pixel Mosaic online app, participants mix red, green and blue light together to make a sequence of colour that best represents them along with a short statement as to why they chose the colours that they did. The first round of entries have been loaded onto a large 4.5m x 2.2m physical art installation known as Pixel Mosaic. 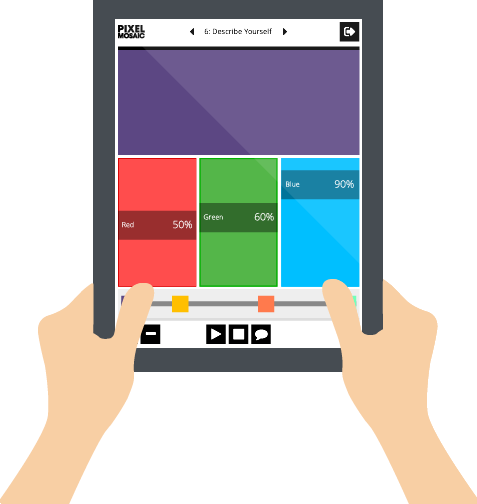 This collection of 468 tiles features the colour stories from the first round of entrants and is accompanied by a tablet stand that viewers can read the entrants stories. You can still be a part of Pixel Mosaic by creating your entry for the next intake. 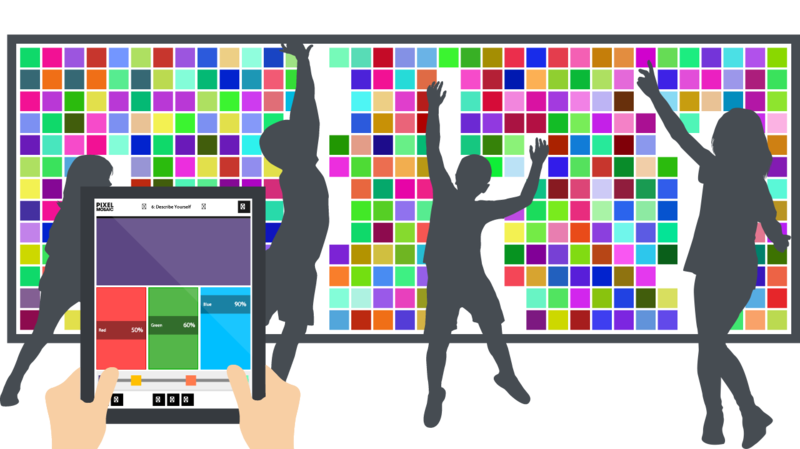 Pixel Mosaic is an interactive digital art project designed to encourage young people to question and express themselves through colour using their electronic devices online to create art. The end product is a physical art installation for public exhibition and a virtual representation online. Having a strong community focus, Pixel Mosaic promotes a sense of a project larger than the individual. It combines traditional tile mosaic by the senior community representing the past and a new modern digital mosaic representing the future. Pixel Mosaic is an exciting way to introduce the mosaic artform to a new digital age through the association of tiles with pixels. At the heart, Pixel Mosaic is a genuine and inviting opportunity for self discovery and learning combining art, science and social sensibilities presented in a fun and engaging manner. It is the combined efforts of many inspired by the ideas, passion and momentum of Mic Black (creator). Let them create their own Pixel Tile entry and explore the app content. 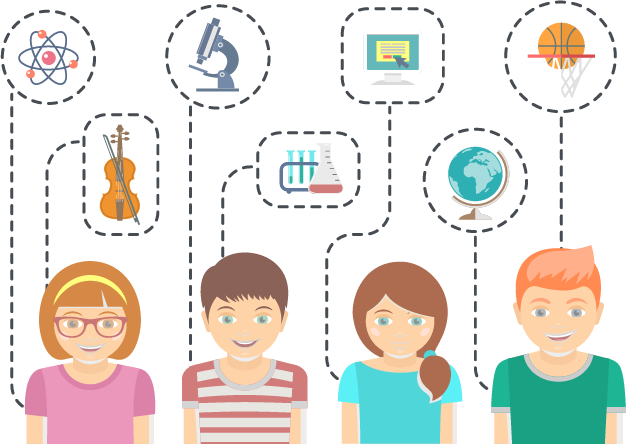 Pixel Mosaic is for all school aged students no matter what their interests are. The only thing you need is to have an open mind about who you are and why. Are you ready to make your mark in Pixel Mosaic? Mic delivers a passionate talk about providing non-confrontational methods to explore the relationships between colour and self-perception in young people through physical computing. QUICK is the Queensland Society for Information Technology in Education's (QSITE) quarterly journal. 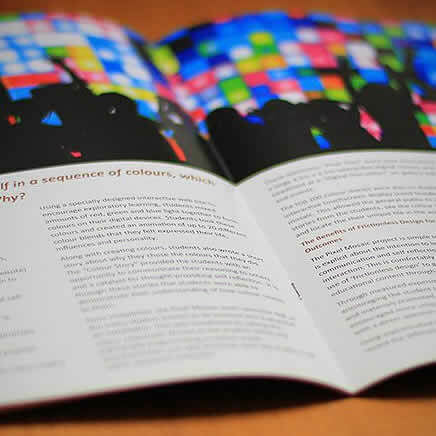 Pixel Mosaic was featured in the Q2 2015 publication distributed to schools and educational institutions across Queensland. 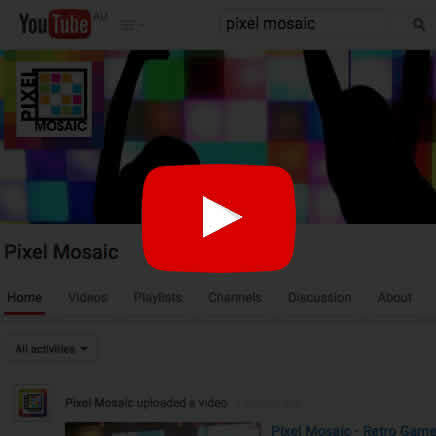 Watch the construction of Pixel Mosaic along with workshop highlights and special exhibits on the Youtube channel. 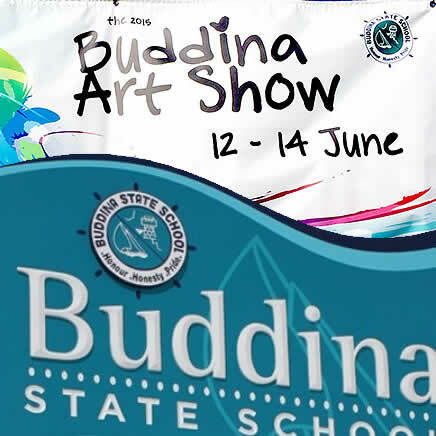 The Buddina Art Show is an opportunity for grades 2-6 students to participate in the Pixel Mosaic project and create their colours in a special one-off exhibition just for the Buddina State School Art Show. Event completed 12 -14 June 2015 stay tuned for online exhibition! Do you want to run a story about Pixel Mosaic? Pixel Mosaic is powered by the amazing people who meet along the road to making something special. Below is a list of friends we have made in this short journey so far. Creator of Pixel Mosaic and driving force behind the project in every aspect including: concept > code > circuitry > construction > mass manufacture > design > video/photo > promotion > workshops > leadership. Mic is a tireless inventor, creative thinker and doting father with a focus on inspiring young people to create not just consume. Mic has a very broad skill set and extreme working velocity. Everyone mentioned on this website has experienced the Mic Black "crazy new idea" call and knows all too well, Mic's not speculating, he's already built a working prototype overnight, so are you in? Mic has a future in promoting creative uses of technology for meaningful causes and has the skills, experience and ideas to do so. Mic wants to connect with awesome people like you. Jazmyn, aged 12, has put enormous effort into videos, voice overs, script writing, and being the public face of Pixel Mosaic at all events. Jazmyn has been part of the Pixel Mosaic journey from day one and will continue to be an ambassador for the arts for young people. She hopes to one day have a feature exhibit of her own illustrations in a gallery. 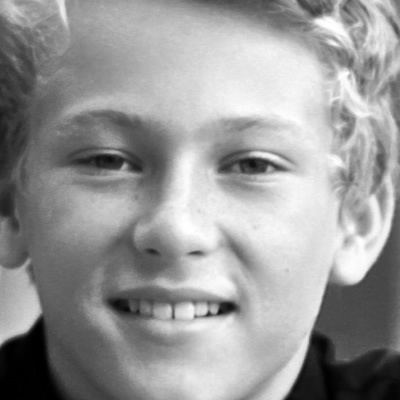 Cade, aged 12, is a very skilled sportsman with a natural confidence and presence. He is not only witty and hillarious to have around, but a straight shooter who can get down to business quickly and professionally. Cade was instrumental in reaching the sometimes elusive market of young sports fanatics who may not typically get involved in creative arts projects. 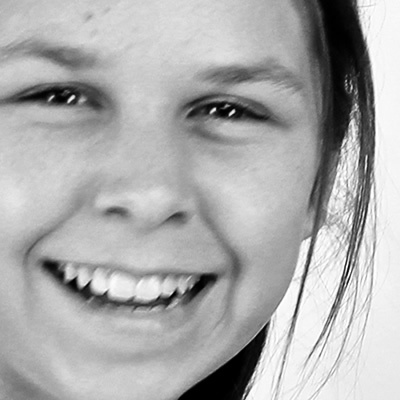 Lili, aged 12, is a powerhouse entrepreneur with a bright future in promotions. Lili has been an active member of the Pixel Mosaic team since the early days and has brought her "call to action" presence on several occasions. Lili is a fearless ambassador for young entrepreneurs and is a motivational speaker that can rally a room in seconds. Felix, aged 12, is a quiet and conservative achiever with the ability to pacify a room of loud, easily distracted participants. 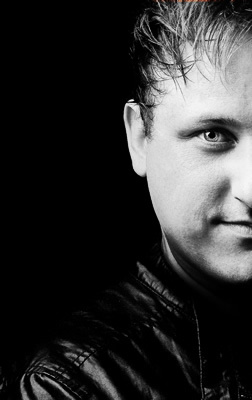 Felix diligently participated in filming activities and contributed to brainstorming sessions. Ant, Saffron, Toni, Jenny, Peta and assistants have been incredibly supportive and provided guidance, enthusiasm and assistance through the grant application process. Ant's timely boldness in taking on a digital art exhibition in a regional area has been a great start for Pixel Mosaic and provided many opportunities for Mic to take part in workshops, discussion panels, mentorship and provide graphics for marketing purposes. Mic has known Steve for many years. When workshop suppliers let us down over Christmas, Steve jumped in and turned things around; from CAD to cutting, sawing, milling, glueing and organising structural engineering approval. Steve has donated much of his time, tools and efforts to make sure Pixel Mosaic meets the vision and unforgiving expectations of Mic. Steve is driven by quality craftsmanship and has an inspiring sense of community. Mic met Dale and Faye through a chance meeting whilst Mic was out promoting Pixel Mosaic and had this crazy idea to build a replica of the digital mosaic with traditional tiles as part of the artwork. Mic was keen to have the senior community produce this traditional mosaic blending young and old, new and traiditional art into the one piece. Dale and Faye, who already run regular mosaic workshops, were both overwhelmed and excited about building a 4.5m wide mosaic. They set to work immediately and rallied a team from the local retirement village and organised workshops. Mic and Jazmyn came down a few times and got to work but this was largely the amazing work of Dale and Faye. Mic met Mike through an outsourcing platform when he was searching for someone to help refine an early Pixel Mosaic Tile prototype. Mike's ability to methodically work through problems helped see the circuit through to a production ready standard. Many late nights soldering test after test with different components, Mike has been dedicated to seeing Pixel Mosaic through. He has continued on with the project beyond the original engagement inspired by its purpose and the possibilities of its future. Mic met Ben through designing and building user interfaces for complex software systems for other projects. Ben has always seen the bigger picture for Pixel Mosaic and has donated a server, created a base API in Laravel and helped in setting up deployment routines. Ben is a seasoned Laravel/PHP developer with a wealth of experience. Pixel Mosaic enjoys the luxury of a solid, high quality codebase uncommon in smaller projects thanks to the collaboration of Mic and Ben. This was the first project Mic and Brett collaborated on. In the final weeks of Pixel Mosaic production, Brett took over from Mike Thomas. Brett boosted performance to incredible frame rates and was a hands on contributor testing concepts, writing code translations and hardening the embedded codebase. Brett was drawn to the complex technical requirements of Pixel Mosaic and has a lot to offer to future variations or similar projects. Mic reached out to GreensTones Electronics to manufacture the circuit boards for Pixel Mosaic. After a few discussions, Rebecca could see the community focus of the project and went above and beyond to reduce costs, ensure delivery and filmed elements of the production for educational purposes. Manufacturing offshore isn't as easy as it appears on the surface so it was invaluable to have Rebecca believe in the cause and be an ally in the production working toward the same goal. Out of an order of 500 units, 8 were defective (1.6% fault rate). This was the first project Mic and Richard have collaborated on. Richard helped by being there when Ben Corlett had other engagements. 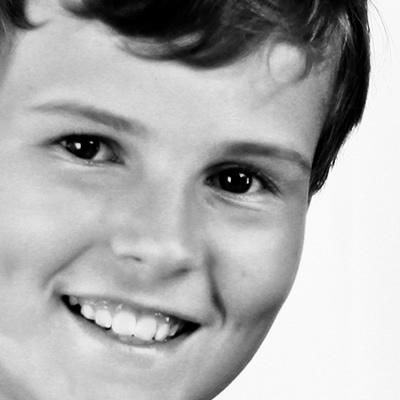 Richard assisted with producing search facilities and other enhancements to the API. This was the first project Mic and Munish have collaborated on. Munish assisted by converting the depth map of Kinect to an array of bits to "see" objects. Munish was part of the original Microsoft Kinect Research Team and knows the Kinect APIs well. Ben and Christian have been ongoing supporters of Mic for multiple projects. Ben and Christian are active in the local community offering lab access, technical facilities and huge amounts of encouragement. In addition to loaning an Xbox Kinect v2 sensor for motion detection and offering their premesis for workshops, Ben and Christian provided letters of support to accompany grant applications. 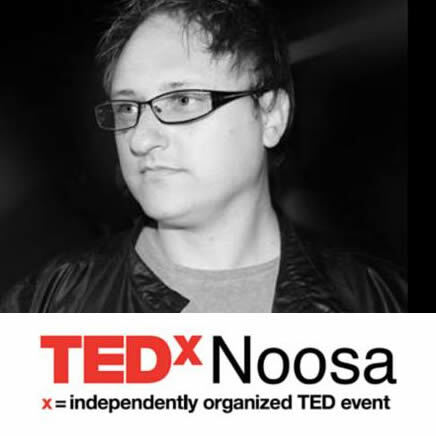 Graeme is a passionate advocate for technology in schools and has been a fervent supporter of Pixel Mosaic since the initial concept discussions. Through Graeme, Pixel Mosaic assisted in getting Pixel Mosaic approved for use in schools and provided early introductions. Sean, Craig and Andrew have helped through providing a premesis to complete beta workshop trials, promote through the Coder Dojo and MineCore networks. The Regional Arts Development Fund is a Queensland Government through Arts Queensland and Sunshine Coast Council partnership to support local arts and culture.